Webcampak is equipped with sensors collecting statistics about internal system at regular interval. 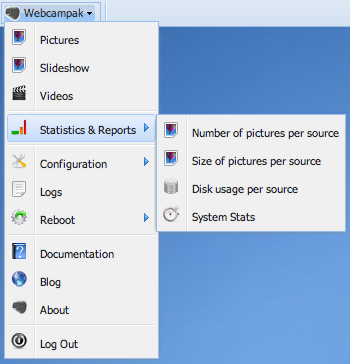 Those statistics have been created to let you see, quickly, if Webcampak and its sources are operating as expected. You can use this window to check if capture were stable for a particular source. If you move your mouse over a specific day, the number of pictures captured during this day will be displayed.